The celebrities around the globe are always worried about their red carpet look. Right from the clothes to the jewellery or shoes, everything has to be perfect. They know how to shine and own the red carpet. That is the reason they wear some really expensive piece of jewellery, clothing and shoes. There are few Hollywood celebrities who stole the show at the red carpet wearing the most expensive jewellery. At the 2014 Golden Globes, the beautiful Reese Witherspoon amazed us all with her classy and simple Calvin Klein dress. But, the centre of attraction was the jewellery worn by her. The stylish look was accessorized with Harry Winston jewels. Harry Winston was the first jeweller in the world to get his pieces on the red carpet. The actress of the movie, ‘Legally Blonde’ wore $3.7 million jewellery on the red carpet. The jewellery included a pair of 4-carat diamond earrings, a 10-carat emerald-cut diamond ring, and three stacked diamond bracelets. At the 2013 Oscars, the elegant blonde, Charlize Theron wore no less than $4.5 million worth of Harry Winston diamond jewellery. She paired her precious jewellery along with a beautiful white Christian Dior Haute Couture gown. In the year 2011, the singer, Jennifer Lopez wore some of the most expensive red carpet jewellery. The jewellery was worth $5 million. Golden Globes presented Jennifer Lopez in a white Zuhair Murad gown with a Harry Winston bracelet. The bracelet sparkled with over 600 diamonds, a diamond suspension ring with a 7-carat emerald cut stone, a diamond cluster brooch in her hair, and diamond cluster earrings. At the Golden Globes 2013, the beautiful actress, Jessica Alba looked more than beautiful when she rocked $6 million worth of jewellery. Alba wore diamond necklace from the Harry Winston collection, along with diamond and platinum ring, and platinum and diamond earrings. The actress had to bring security guards with her as the necklace was just borrowed. Nicole Kidman represents glamour, the stunning blonde looks flawless all the time. Kidman wore a classy Balenciaga black dress at the 2008 Oscars. L’Wren Scott necklace worth no less than $7 million enriched the look of the dress. The necklace was designed just for Nicole Kidman, which had over 7500 diamonds worth an estimated 1400 carats. It was not an easy task to create this jewellery. It took around 6200 hours to be made which means 258 straight days. At the 2013 Emmy awards, the Modern Family actress, Sofia Vergara was simply stunning where she wore a breath-taking Vera Wang red mermaid gown. Vergara accessorized the beautiful gown with the $7 million Lorraine Schwartz jewellery. The jewellery included a 21-carat Asscher-cut diamond ring, ruby, sapphire and Colombian emerald earrings, and a 40-carat Colombian emerald and rose-cut diamond ring. In 2014 at the Golden Globe, Amy Adams wore $8 million worth of jewellery. The jewellery consisted of Lorraine Schwartz items, which included a 30-carat Asscher-cut diamond pendant, a 12-carat rose cut diamond ring and 10-carat diamond earrings. Amy wore a deep cut Valentino gown for the ceremony. Also, she went home with a Golden Globe for the Critic’s Choice Movie Award for American Hustle. In 2011, the pretty actress, Anne Hathaway co-hosted the Oscars with James Franco. Along with changing her outfits seven times, Anne Hathaway wore a $10 million sparkling necklace designed by Tiffany & Company. She paired the necklace with a Tiffany Legacy diamond ring and 10-carat diamond earrings. The classy necklace had an estimated weight of 94 carats. The actress wore the necklace with a beautiful red Valentino strapless gown. It is been said that the actress did not purchase the jewellery, but she was paid to wear it. Tiffany & Company reportedly paid Anne Hathaway to wear the stunning pieces of jewellery. 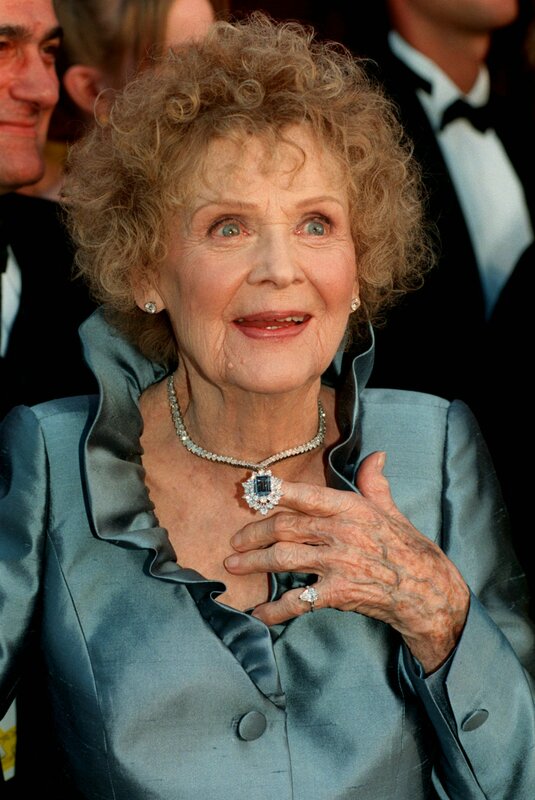 Everybody does remember the famous Heart of the Ocean necklace from the movie, ‘Titanic.’ Late actress Gloria Stuart had the honour of wearing a replica of the famous Titanic necklace at the Oscars in the year 1998. The centrepiece of the necklace was a huge sapphire surrounded by diamonds, which made it worth $20 million. The 15-carat blue diamond necklace seems like it brought Stuart some luck because she won the Oscar for Best Supporting Actress that night. The beautiful lady passed away at the age of 100 years old in 2012. 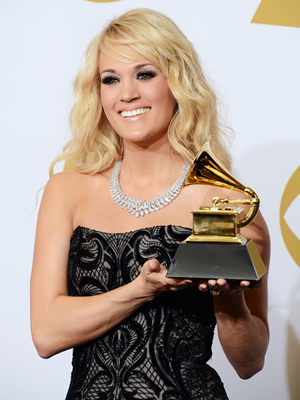 At the 2013 Grammy Awards, the country star Carrie Underwood wore a stunning necklace worth no less than $31 million. The expensive necklace was designed by Jonathan Arndt. It had 381 carats of oval, pear, marquis and round brilliant white diamonds. The actress flaunted the necklace with a strapless Roberto Cavalli dress, so the whole outfit was all about the necklace.